I arrived on campus never having been to Evanston, let alone Chicago. I was born and raised in Cali, Colombia, but I knew that I wanted to go abroad for college. I learned about different U.S. schools by visiting their campuses, staying there for a summer program, or simply through browsing through their websites. Though Northwestern (as you can clearly tell from my first sentence) fell into that last category of schools, I knew this was the right place for me. Fortunately, my first few days here reassured me that I had made the right decision. For international students like myself, those days are when International Student Orientation (ISO) takes place. This pre-Wildcat Welcome program is a space for us to learn about American culture, college life and meet the rest of the international students from all over the world (literally from over 75 countries). ISO was an amazing experience for me – some of my fondest memories tie back to this time and first people I met in the Northwestern community. The International Peer Advisors (IPAs) became valuable mentors for myself and other incoming students not just during ISO, but during my entire first year. These upperclassmen were approachable, helpful, and shared their personal experiences to guide we new students in planning our paths at Northwestern. I remember being super grateful and excited when I met an IPA who was also from Latin America and someone I could speak Spanish with! Our IPAs supported us by letting us know that though this new experience could be scary, they were here for us. We were not alone because they also had similar questions, concerns, and emotions when they were in our shoes and they helped us navigate the resources to succeed right away. ISO also facilitated friendships with the rest of my first-year class and the entire community. I felt and continue to feel inspired by meeting so many incredible, driven students with completely different majors and plans. All of my friendships have enhanced my academic and personal experience at NU; whether I’ve needed class recommendations, help with off campus housing or just a group of people to go to Chicago with, my ISO family is always here for me. To give back to this community, I became part of the ISO executive board during my second year. I, along with the rest of the board, communicated with the incoming class and organize the logistics behind all the activities and events. I made sure ISO was as welcoming to every new international student as it was to me. 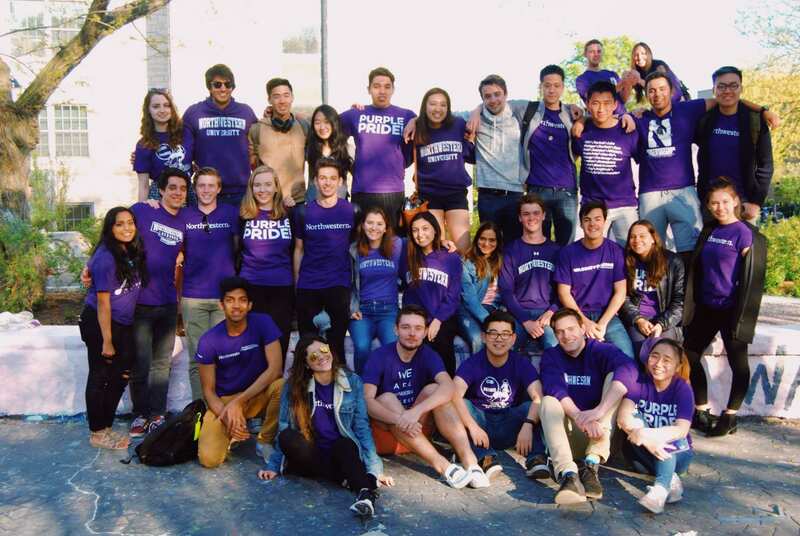 Planning out these few days and executing them for the class of 2021 made me feel more connected to the international community, and to Northwestern as a whole. The best part was that my fellow executive board members, and the 30 IPAs shared these same feelings and wishes. Seeing all this work pay off in my community made me feel very proud and happy to see that this place so far away from home also become a home for these new students. These feelings of connections do go beyond ISO, and I am always amazed to see how much Northwestern students feel connected to and root for each other. At the end of the day, whether international or U.S.-raised, our purple pride runs deep! That’s good. Welcome to all new students from my side too as i am also a student here. best wishes for all of first-years.